By most official measures, Latinos in the U.S. are considered to be the fastest-growing demographic. They are also the fastest-growing group of Muslims in America, according to organizations that cater to Hispanics converting to Islam. Although the statistics haven’t been widely tracked, there are an estimated 150,000 Islam converts among the Latino community in the U.S., reported the Press-Enterprise, a California newspaper. 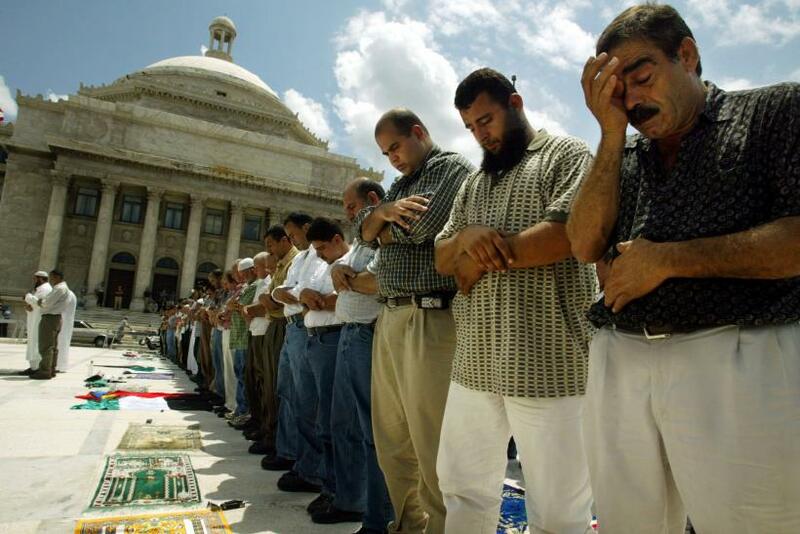 The trend of Hispanic converts to Islam has been tracked by the Islamic Society of North America, which in 2006 estimated there were roughly 40,000 Latino Muslims in the U.S., according to a report by National Public Radio. Some community leaders said the recent growth of the demographic has its roots in a shared experience of immigration and the negative political rhetoric that advocates have deemed as anti-Muslim. Mark Gonzales, a Muslim poet and artist in California, told the Orange County Register that immigration officials' targeting of Mexicans and Muslims after the Sept. 11, 2001, terror attacks helped the two demographics find common ground. “Islam is the fastest-growing religion in the world, and Latinos are converting to Islam at a rate higher than any other [ethnicity],” said Gonzalez, who is of Mexican-American and French-American heritage and converted to Islam 12 years ago. Most Latino Americans belong to the Roman Catholic Church, according to religion data tracked by the Pew Research Center. But the Catholic share of the Latino population has declined, while the number of Latinos who are Protestant or report no religious affiliation has risen. Jihad Turk, president of Bayan Claremont, an Islamic graduate school in California, told the Press-Enterprise that Islam is most similar to Catholic beliefs. Muslims believe in many stories contained in the Christian Bible, including the prophets, he said. “Muslims not only believe in God and the Ten Commandments, but also in Jesus as Christ born to the Virgin Mary and her story is told in the Quran in more detail than it’s told in the Bible,” Turk said. Organizations have formed in the U.S. to help the merging of Latino and Muslim communities. Rida Hamida, president of the Arab American Chamber of Commerce in Orange County, California, has been working with Latino Muslims to highlight the merging of cultures. A series of public events scheduled for next month will focus on a time of Muslim rule in Spain and Portugal, from 711 and 1492, when Muslims, Christians and Jews cohabited along the Iberian Peninsula, Hamida told the Orange County Register.